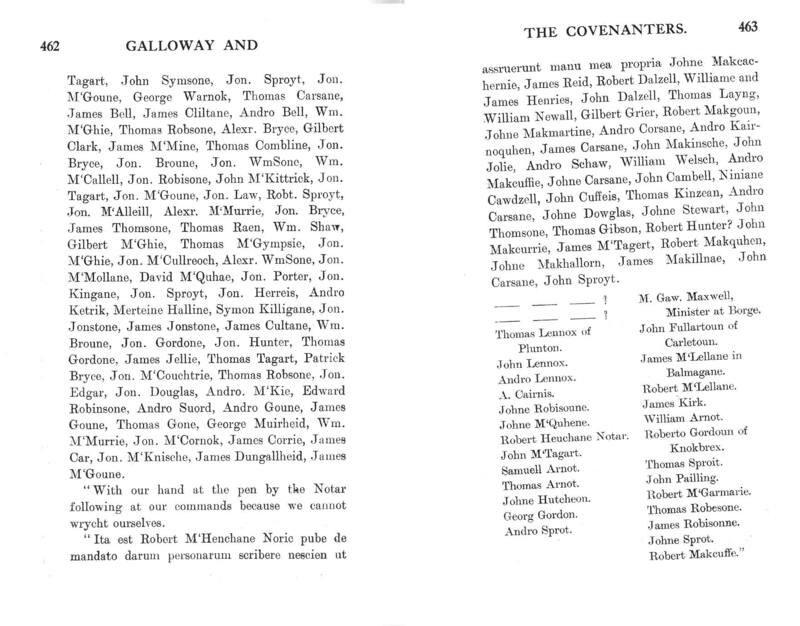 Signatories to the Covenant of 1638 in Borgue and Minigaff Parishes, Galloway. 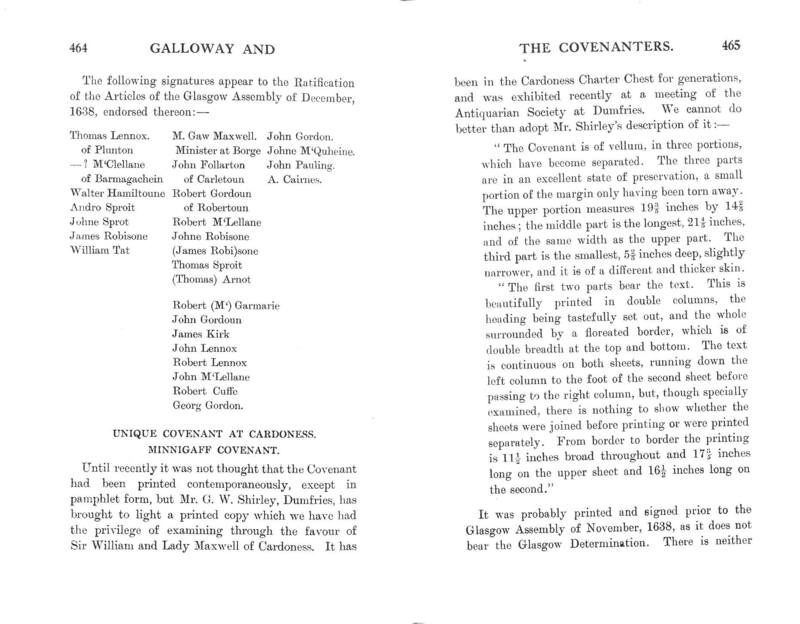 These are extracts from “Galloway and the Covenanters” by Alex.S. 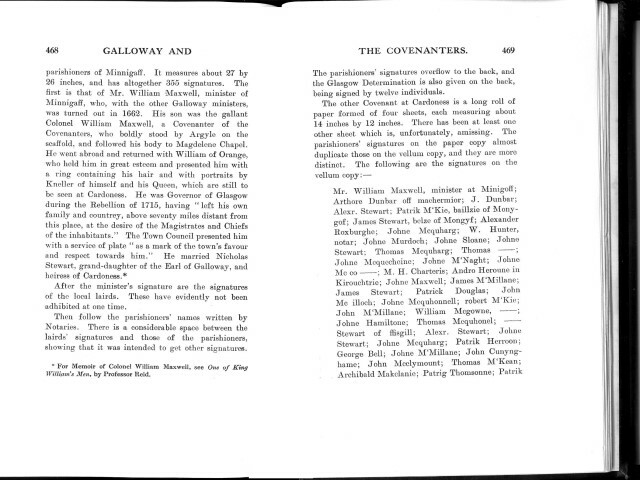 Morton (1914). 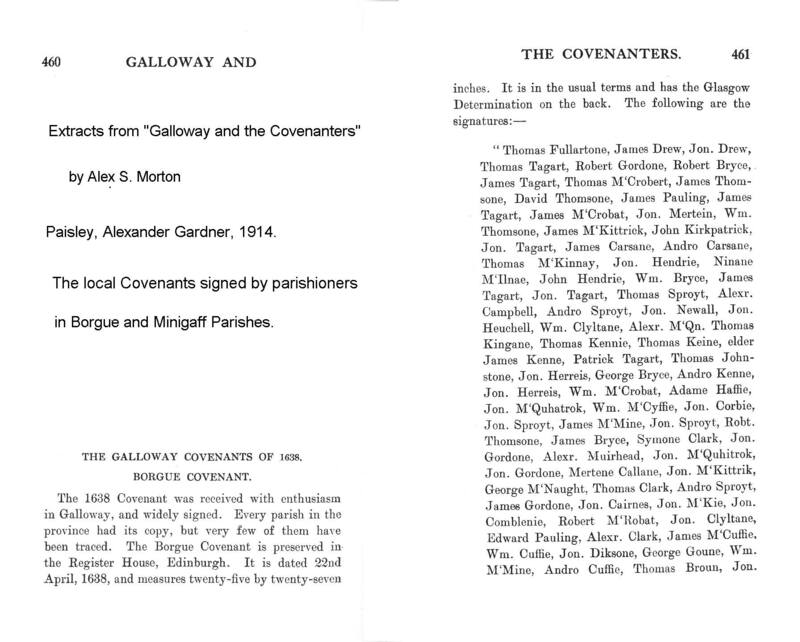 They refer to the inhabitants of the two Galloway Parishes that signed a copy of the Covenant. 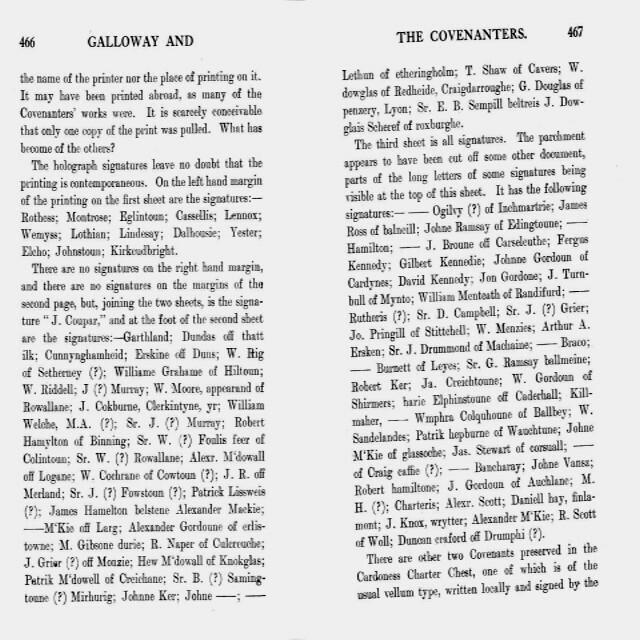 Click on the image to enlarge to 600 pixel width; this image can be enlarged again using the expand facility (four arrow symbol bottom right hand corner in Explorer).